Bill Gross says financial assets still beat cash, yet the St. Louis Fed finds Americans have been massively hoarding cash. Time to stuff your mattress? 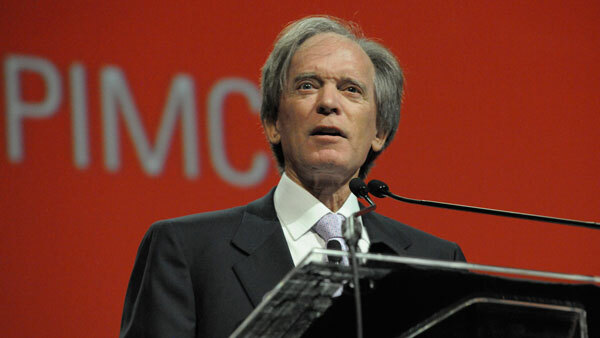 PIMCO bond manager Bill Gross says the Federal Reserve’s low policy rate is sufficient to provide a return on investment for stock and bond owners, but does not induce the sort of productive investment needed to generate long-term economic growth. In his September investment outlook appropriately titled “For Wonks Only,” the fund manager offers his insights into the economic theory behind his oft-stated “New Neutral” thesis, which holds that a levered global economy severely limits how much the Fed can raise rates. Two variables figure in the monetary straitjacket Gross describes: credit creation and credit velocity. The former must constantly expand at a high enough rate to pay interest on previously issued liabilities so as not to trigger the need for the sale of existing assets. If the current rate on outstanding debt in the U.S. is 4.5%, the Fed should target credit expansion of at least 4.5% per year. Nevertheless, credit expansion has averaged just 2% for the past 5 years and only 3.5% in the past year. U.S. underachievement in credit creation is to blame for today’s economic stagnation, where the economy struggles to reach 2% real GDP growth. A second variable of monetary policy is the velocity of money. Gross says no central banker knows how fast money should be changing hands in the economy and must therefore only dial the level up or down cautiously in order to avert a credit collapse. We may be “dangerously close” to that level where the mattress is more appealing than a Treasury bond, Gross warns. Indeed, the portfolio manager says that were it not for the Fed’s low policy rate, which he has argued will peak at 2% in 2017, stock prices would be too risky relative to their return at today’s interest rates. For now, Fed policy is supportive of continued asset price growth, but long-term economic growth will not be forthcoming absent productive investment in the economy. Meanwhile, the Federal Reserve Bank of St. Louis released an economic paper early this week that offers a fresh take on one of Gross’ concerns, the velocity of money. Titled “What Does Money Velocity Tell Us about Low Inflation in the U.S.?” the paper by the St. Louis Fed’s Yi Wen and Maria Arias says monetary supply via the Fed’s quantitative easing has been extremely rapid relative to the output of the economy. Indeed, the authors say it has grown at a pace of 33% a year between 2008 and 2013, compared with just below 2% a year for the economy. Since economic theory suggests that the difference between monetary growth (33%) and output (2%) should be reflected in the price level, the question is: why have we not seen 31% inflation in the past five years of monetary stimulus and low growth? In other words, the Fed’s huge increase in the supply of money has been counterbalanced by consumers’ redirecting those funds into their mattresses — precisely the precipice to which Gross argued our economy is dangerously close. The Fed’s zero-rate policy, they say, has essentially “reinforced the recession,” triggering a decrease in the velocity of money that is 69 times larger than economic theory would suggest.